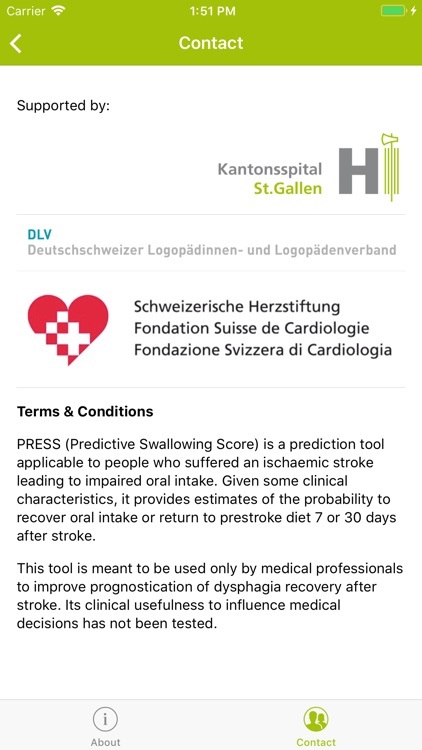 PRESS (Predictive Swallowing Score) is a prediction tool applicable to people who suffered an ischaemic stroke leading to impaired oral intake. 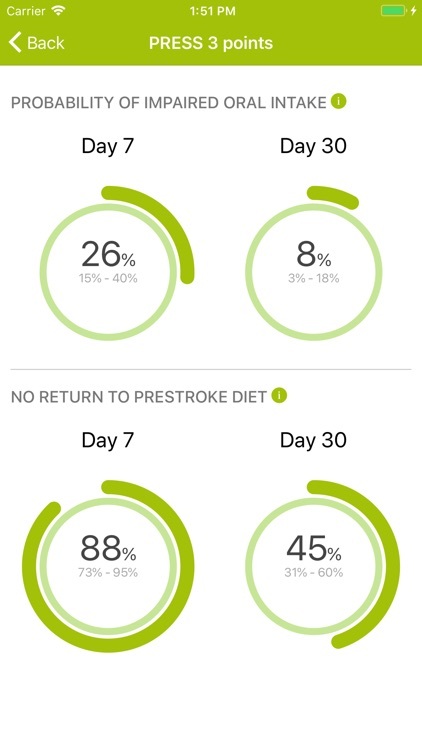 Given some clinical characteristics, it provides estimates of the probability to recover oral intake or return to prestroke diet 7 or 30 days after stroke. 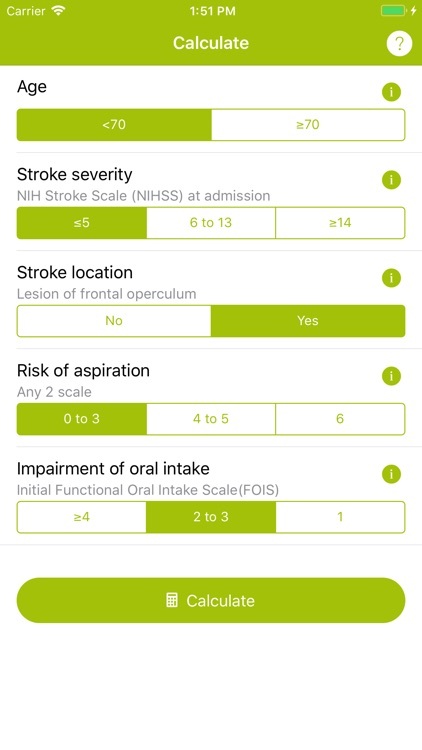 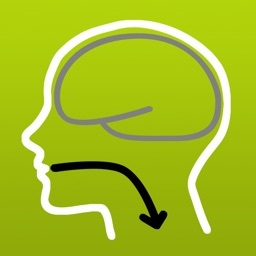 This tool is meant to be used only by medical professionals to improve prognostication of dysphagia recovery after stroke. 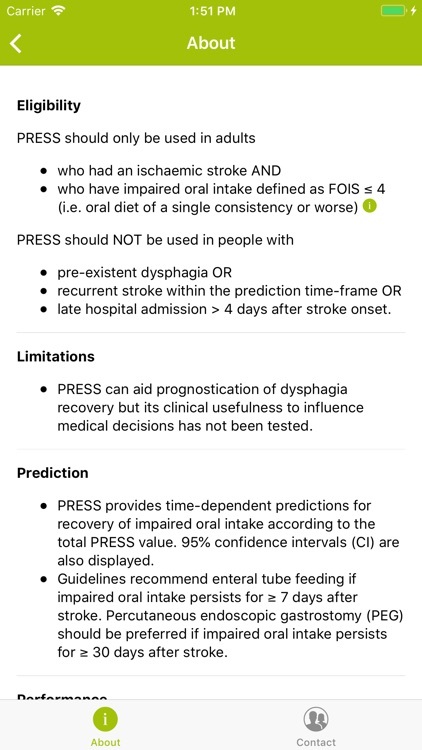 Its clinical usefulness to influence medical decisions has not been tested.